It’s a different game of dynamics when the combined strength of Manju Warrier and Amala Akkineni becomes a force to reckon with. If charisma ever wanted its best representation, it will for sure look up Manju Warrier. The exuberance that peppers her talk, the quiet charm and nuanced study of her characters make for an interesting conversation with the actor who is setting higher standards for herself and others with every new film she does. Ahead of the release of her next, C/O Saira Banu, where she shares screen space with Amala Akkineni, Manju warrier tells us about the one thing that made her take up the film. “The script. And the way Antony Sony narrated it to me. I didn’t have to spend a long time to decide that I wanted to do this film,” smiled the actor. “We had many setbacks once we set about doing the film. There was even a point where it came close to getting shelved. But Antony had told me that I was his Saira Banu, and he was steadfast in making his vision come true,” said Manju Warrier. Excited about her first biopic, Manju Warrier shared that she’s been reading articles about Madhavikutty aka Kamala Surayya. “To get the chance to play someone you’ve always admired is such a delightful experience,” she smiled. 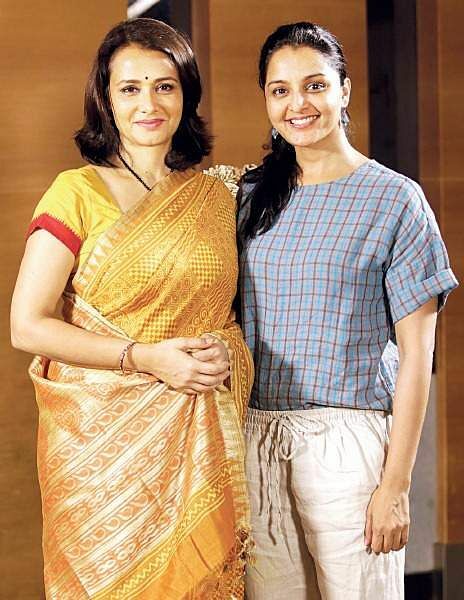 There’s a well-kept secret about Amala Akkineni while she was in Kochi for shooting the film. She, along with her new-found girl gang, sneaked into malls during no-shoot days to catch Malayalam movies! “Angamaly Diaries, Oru Mexican Aparatha and Ezra,” she read out studiously from her mobile phone. That’s how definitively cool Amala is. There are some who make heads turn even when they walk into a room in the most unobtrusive way possible. Amala Akkineni is one of them. The actor, entrepreneur, social activist, Blue Cross founder (Hyderabad) is making a comeback to Malayalam cinema after 25 years, not to pick up from where she left off, but to begin a whole new chapter. “I got quite busy with all my other works and I didn’t realize so much time had whizzed past me. It was only when Sekhar Kammula offered me the role of the mother in Life is Beautiful, I quickly realized that I could now start playing the ‘amma’ roles; that’s the space open for me to explore,” said Amala. The actor is warmed by the affection she’s been receiving in Kerala. “My work other than cinema is in such hostile environments, and so, the appreaciation I get here makes it very special,” she beamed. New projects in Malayalam? “Roles don’t easily get written for people my age, but I’m keeping the doors open,” she smiled.